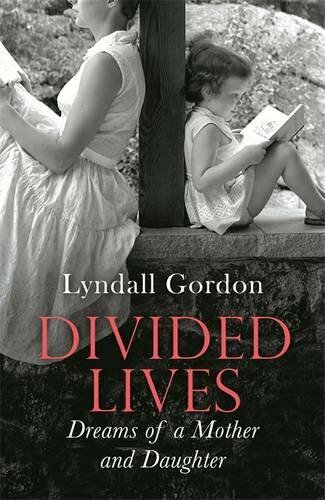 Next week, on Thursday, 20 November, it will be my pleasure to speak to Lyndall Gordon at the Book Lounge launch of her latest memoir, Divided Lives: Dreams of a Mother and Daughter. 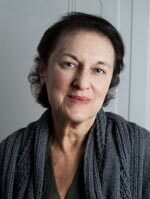 “Lyndall Gordon grew up in Cape Town where she studied history and English, then nineteenth-century American literature at Columbia in New York. 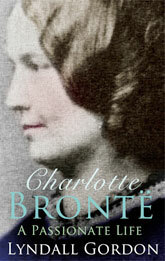 In 1973 she came to England through the Rhodes Trust. For many years she was a tutor and lecturer in English at Oxford where she is now Senior Research Fellow at St Hilda’s College. 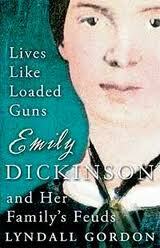 “In Lives Like Loaded Guns: Emily Dickinson and her Family’s Feuds, Lyndall Gordon considers the two unassailable facts of Emily Dickinson’s life: the family feud over the affair Emily’s brother, Austin Dickinson, had with Mabel Loomis Todd, and the poet’s letters and poems about her unnamed sickness. 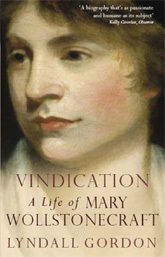 In the process Gordon debunks the many myths created around the unique woman who spent most of her time in her own home, writing, gardening and baking prize-winning bread for her family. For me, the review was the beginning of an enlightening journey. 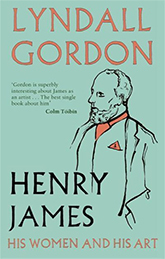 Gordon’s remarkable books arrived in my life when I most needed them. 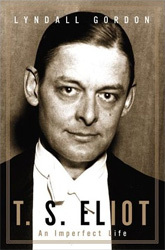 They sustained me through periods of doubt and gave me strength to continue on my own literary path. 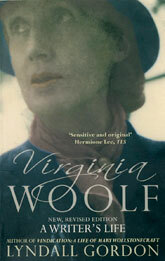 For my review of Divided Lives see LitNet. 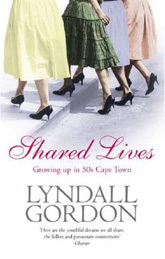 For Lyndall Gordon’s other events in South Africa see Blake Friedmann. 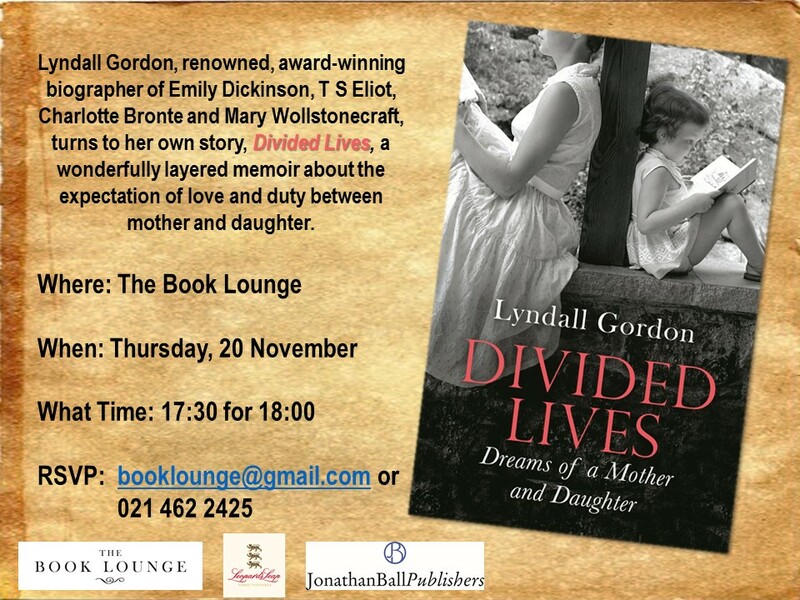 This entry was posted in Events and tagged Book Lounge, Cape Town, Divided Lives, Divided Lives: Dreams of a Mother and Daughter, Emily Dickinson, Karina Szczurek, launch, Lyndall Gordon, Siamon Gordon on November 13, 2014 by Karina.